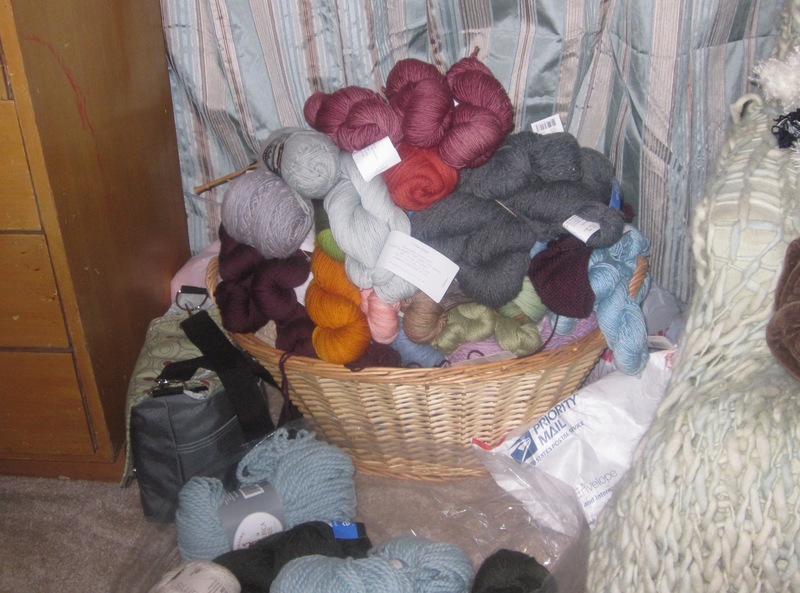 I have A LOT of yarn, as many or you knitters probably do. I have two overflowing baskets and a bunch stuffed into a hanging shelf unit in my closet. A lot of it I bought for specific projects, but a lot of it, I don’t remember why I ordered it. What am I going to do with two skeins of Malabrigo in a random blue? Sometimes I got yarn for a project, but found better yarn and got that too. I’ve got yarn that I don’t really like anymore that I bought over a year ago. I’ve got to do something to get rid of some of this stuff. I think my stash is holding me back because I feel like I should knit all the way through it before I get more yarn to start a new project because I’ll possibly forget what it was for. Or I get it and it adds so much more to the stash that I’m now frustrated because theres so. much. yarn. I’m a bit of a tidy freak, too, so I want it all stacked and organized neatly. This really shouldn’t be a problem for me, should it? I should want to spread all of my yarn out on the floor and roll around in it. I should be inspired daily to knit like a fool. Yet I’m afraid to embark on projects because of all of the new projects that will introduce themselves to me. Ugh.